Hunting for the perfect gift for an herbal tea fan? Look no farther than one of these fabulous finds! From cute and quirky tea infusers to handy tools for growing your own herbs, any these gifts are sure to "Wow!" 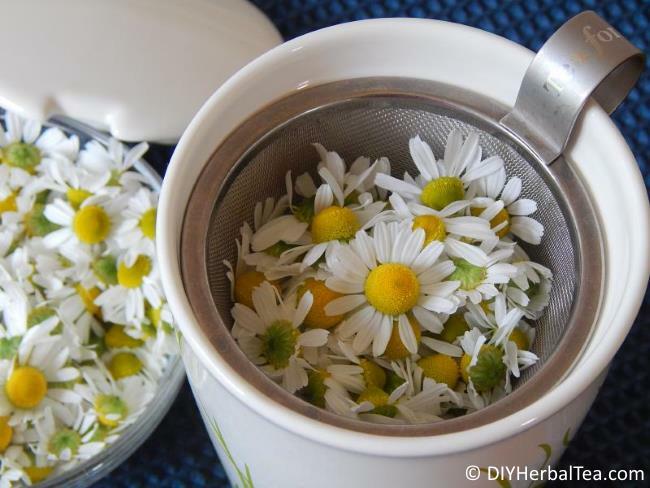 the DIY herbal tea lover on your list! This adorable little infuser was a Christmas gift from my sister a few years back. I laughed out loud when I first saw him ... and to this day I always smile when he's hanging in my cup! He's super-simple to use, too. 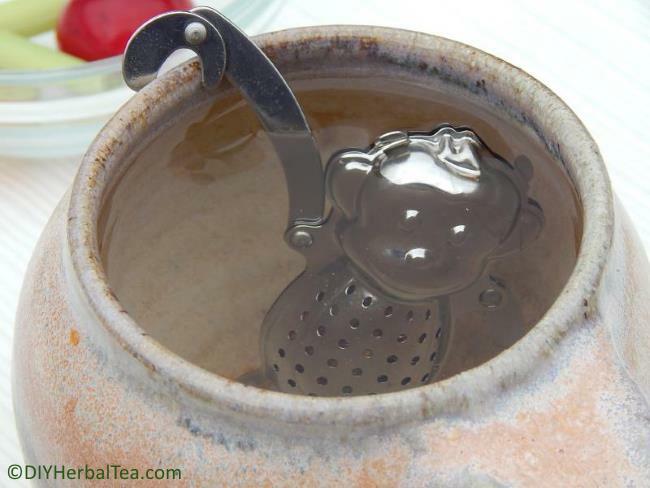 Just pop tea herbs inside, hang his little paw on the rim of a tea cup or mug, and pour in the hot water. The Dunkin' Monkey is perfect for brewing a single serving of tea at home or at work! These nifty scissors chop up a handful of fresh herbs in no time flat. No need to haul out the cutting board and knife. 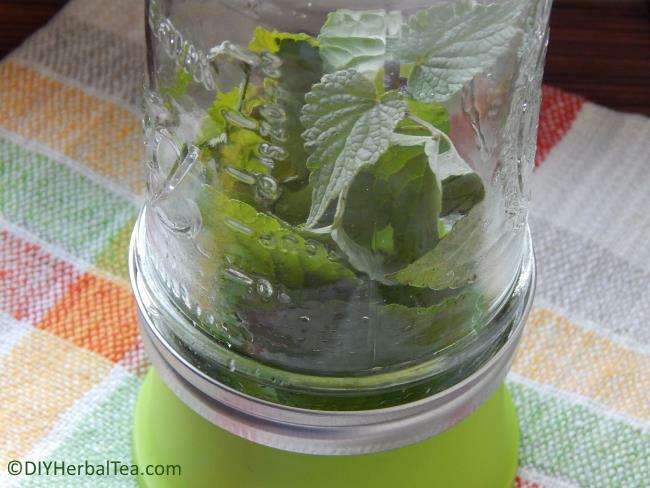 Simply hold fresh herbs over a tea pot or infuser basket, and snip, snip, snip. Easy peasy! Mine came as part of a gift set. 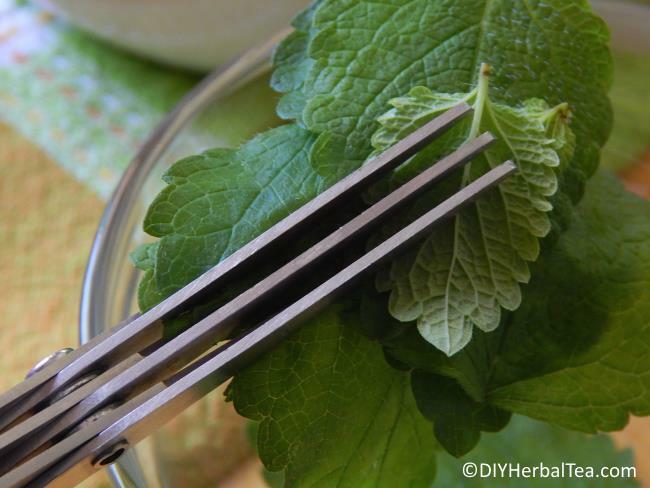 The set also includes a handy stem-stripping tool that takes all the time and effort out of separating herb leaves from their stems. Genius! Looking for the perfect gift for your tea-lovin' boss, co-worker or friend who's always on the go? This KATI cup can't be beat! Made from high-quality porcelain, the cup and lid keep tea drinkably warm from home to office and beyond. The KATI fits nicely in most vehicles' cup-holders; and the lid prevents messy spills, too. The cup comes in a variety of colors and designs, so there are plenty of choices to suit the gals and the guys on your shopping list. Oh, I should also mention ... this gift looks expensive - but it's not! To make a cup of tea in the Teaze: add fresh or dried herbs to the pot, pour in hot water, flip the lid closed, and let it brew. Five minutes later, set the pot atop a cup, and the tea flows through into the cup. This ingenious, fuss-free brewing system makes a great gift for any tea lover! Need an inexpensive item for a Secret Santa or grab bag gift? Give an Herb Saver! With most storage methods, fresh herbs start to go droopy and lose their flavor in a few days. With my Herb Saver, I've had herbs stay just-picked yummy for more than a week. 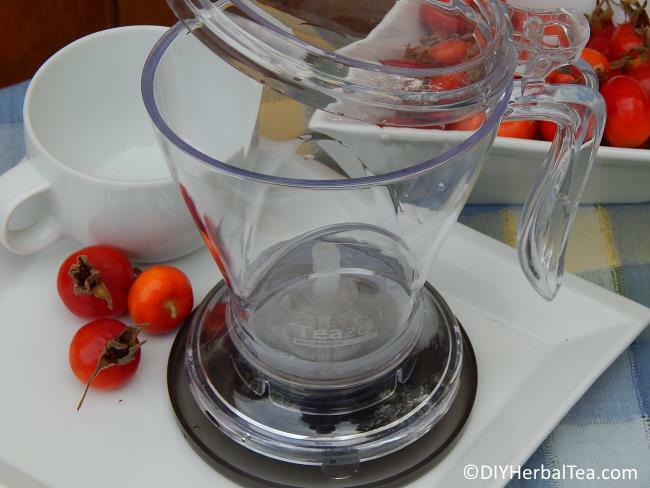 For herbal tea gardeners as well as at-home chefs, this is a "glad-to-have-it!" gadget! No more garden tools strewn around the garage or shed! 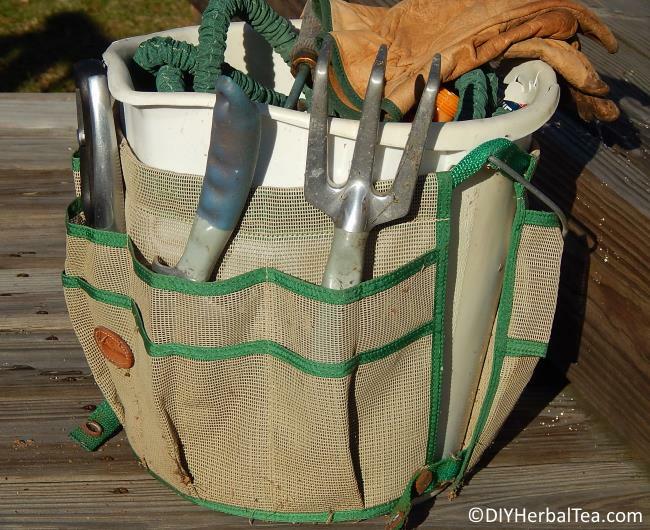 With this handy tool tote, it's easy to store and carry everything a tea gardener needs for digging, weeding, planting and watering! In addition to being a convenient way to corral a whole bunch of gardening stuff, these tool caddies are sturdy little devils, too. Mine was a Christmas gift from my hubby about 10 years ago. Although it doesn't look very pretty anymore, it's still serving me well! Your eyes aren't deceiving you. 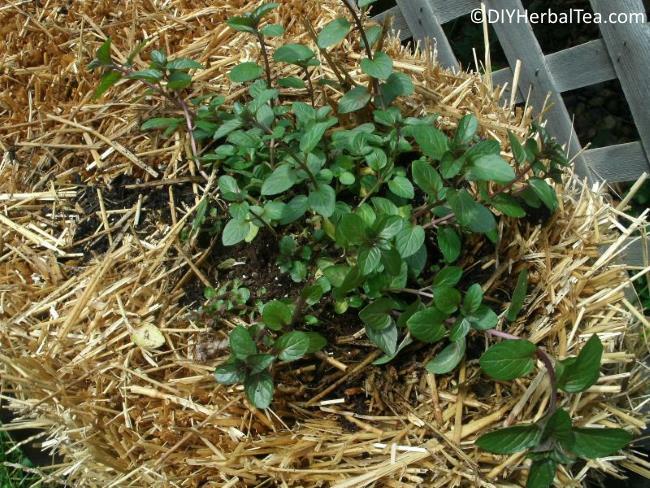 That's citrus mint, growing in a bale of straw!